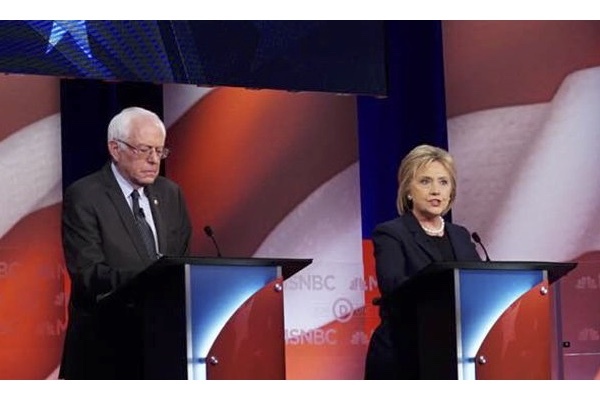 Between Hillary and Bernie: Who’s the Real Progressive? Ronald L. Feinman is the author of Assassinations, Threats, and the American Presidency: From Andrew Jackson to Barack Obama (Rowman Littlefield Publishers, August 2015). The word “Progressive” has been bandied about in this 2016 Presidential campaign by Democratic Presidential contenders Hillary Clinton and Bernie Sanders, with the issue being just how “Progressive” each of them is. It would be instructive to compare these two candidates to “Progressive” candidates of the past who ran on third party platforms in three different Presidential elections between 1912 and 1948: President Theodore Roosevelt in 1912 on the Progressive “Bull Moose” party line; Wisconsin Senator Robert M. LaFollette, Sr. in 1924 on the Progressive Party line; and former Agriculture Secretary and former Vice President Henry A. Wallace in 1948 on the Progressive Party line. It seems obvious that neither Hillary Clinton nor Bernie Sanders would have much in common with the campaign of Henry A. Wallace in 1948, as the major focus of Wallace’s campaign was to oppose a strong response to the Soviet Union’s intervention in Eastern Europe and in Germany. Neither Clinton nor Sanders would support a foreign policy so isolationist as Wallace’s campaign represented in 1948. Wallace supported “Progressive” domestic goals similar to the New Deal initiatives of Franklin D. Roosevelt, but so did Harry Truman, the successor to FDR. Neither Clinton nor Sanders would be supportive of a foreign policy seen as too unrealistic, and even dangerous, in the time frame of 1948, so both would likely have supported Truman over Wallace, which was reflected in the very poor election results for Wallace, as compared to Theodore Roosevelt and Robert M. LaFollette in earlier election cycles of a “Progressive” candidate. It is certain that Hillary Clinton would be in agreement with much of what Theodore Roosevelt stood for in 1912, including his muscular foreign policy record, based on the years that Hillary Clinton served as Secretary of State under President Barack Obama from 2009-2013, along with her foreign policy stands as a US Senator from 2001-2009. She would see a role for an active foreign policy as Roosevelt did in his time in office and during the time of Woodrow Wilson’s presidency, when Roosevelt advocated US entrance into World War I. Clinton backed the Iraq War as necessary, based on the evidence at the time given by the George W. Bush administration, justifying it as essential for national security. The “Bull Moose” Party platform of 1912 dovetails well with the Hillary Clinton platform of 2016, with emphasis on a stronger and more effective regulation of the American economy in the public interest. Roosevelt understood the role of Wall Street in the economy, as Hillary Clinton does, but saw the need for maintaining government oversight of corporate practices, as Clinton does. Also, Clinton’s failed promotion of national health care under her husband Bill Clinton’s Presidency in the 1990s was a reiteration of the goal of Theodore Roosevelt in his 1912 New Nationalism platform. Roosvelt was a champion of a Supreme Court that deals with national priorities. He particularly disliked the influence of special interests on the Court. Clinton has said she wants a Court that promotes the interests of the middle class rather than the elite wealthy. Roosevelt felt similarly about the need for a Court in the future based on Progressive reform ideals. It is certain that Bernie Sanders would have most in common with Robert M. LaFollette, Sr. (“Mr. Progressive” and “Fighting Bob”), who spent his entire political career as Governor of his state and US Senator fighting for the “little guy,” labor, women’s rights, civil rights for African Americans, reform of the Supreme Court, and the environment and conservation. Most significantly, he was constantly at war with Wall Street. Sanders would have been allied with LaFollette on all of these issues, and has been as outspoken as the Wisconsin Senator was in his era. Both are social justice advocates to a greater extent than most political leaders in American history who have campaigned for the Presidency. They also would share a reluctance to use military force. LaFollette stood for nonintervention in World War I, while Bernie Sanders has been one of the members of the US House of Representatives and the US Senate most fervent in his opposition to overseas military engagements. He opposed the Persian Gulf War in 1991 and the Iraq War in 2002. They also would share a concern with civil liberties. Sanders opposed the Patriot Act after the September 11 attacks, seeing it as a violation of personal civil liberties. LaFollette, similarly, opposed crackdowns on civil liberties by Woodrow Wilson during and after World War I. So Sanders would find it very comfortable to cooperate with and work alongside LaFollette, if they had been in the Senate at the same time frame. If Theodore Roosevelt were alive today (and likely a Democrat), he would support Hillary Clinton’s goals, record in office, and agenda over Bernie Sanders. Having supported women suffrage in 1912, he would be proud of Hillary Clinton and her strength and courage, and her vision in foreign affairs. If Senator Robert M. LaFollette, Sr was alive today (and likely a Democrat, too), he would support Bernie Sanders’s goals, record in office, and agenda over Hillary Clinton. LaFollette would be extremely impressed with Sanders’s record as the longest serving Independent, but Progressive, member of both the House of Representatives and Senate, although there might have been some jealousy over Sanders’s amazing ability to be elected for so long without a party affiliation. So the vision and memory of “Progressives” Theodore Roosevelt and Robert M. LaFollette, Sr have been carried into the 21st century by Hillary Clinton and Bernie Sanders, respectively!